During the flat, lazy summer months on the North Shore we admire the sea life that makes the North Shore reefs home. 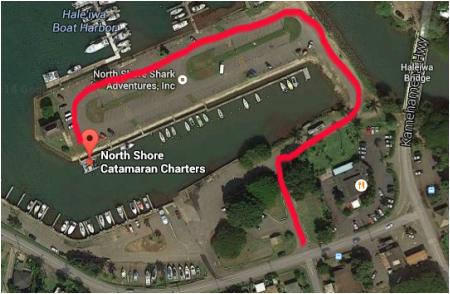 North Shore Catamaran’s 2 hr Coastal Turtle Excursion Sail & Swim, you relax on board the Ho’onaea, as we motor-sail close to shore, from Hale’iwa Harbor down the coast to Laniakea, and observe the different creatures around the reefs of the North Shore from the boat. We see the Hawaiian Green Sea Turtles (Honu) in their natural habitat and learn about characteristics, migration, and the journey these majestic creatures take from our experienced crewmembers. Along with turtles and often see Spinner dolphins (Nai’a), and numerous other species of fish and animals that name the North Shore home.